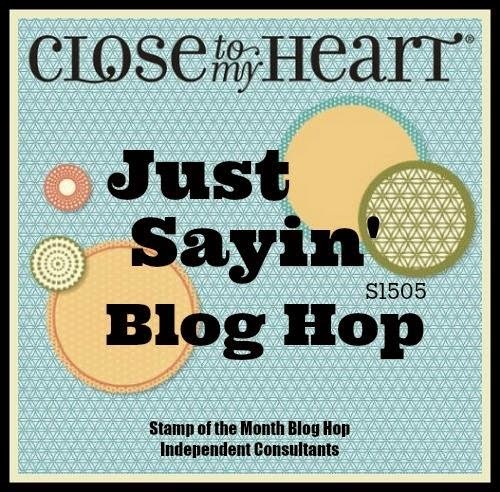 Welcome to our Blog Hop featuring Close To My Heart's May Stamp of the Month, "Just Sayin'"! 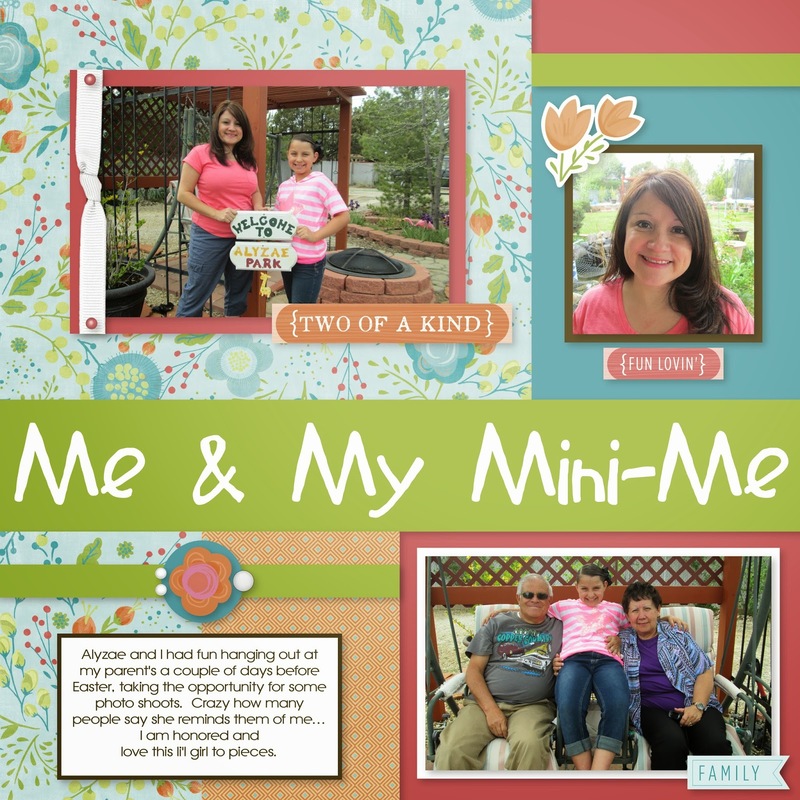 There are almost 70 of us showcasing our creations with this fun stamp set. 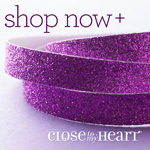 Did you know you can purchasing it during the month of May for just $5 with a $50 purchase?! It's true, you can and it is valued at $17.95! 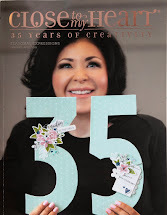 If you have come from Michelle's Blog, you are on the right track! You can find a complete listing of participants, should you get lost along the way, at Melinda's Blog. 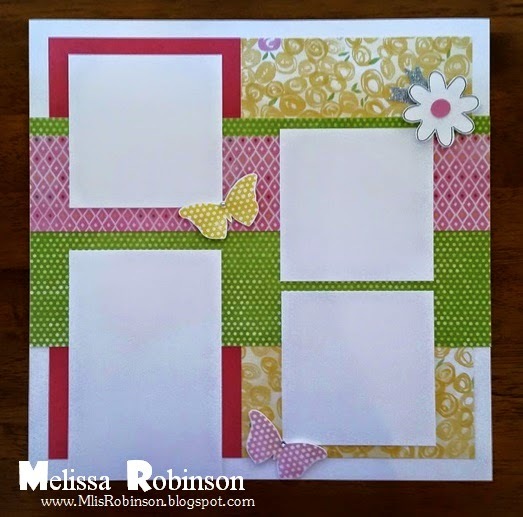 I had fun creating this card using three of the images in the stamp set. 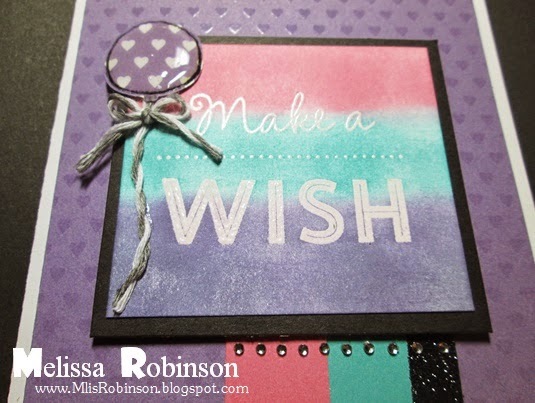 I random-stamped the circle, in Lagoon ink, on Glacier cardstock. On the piece of Smoothie cardstock, I scored it on our awesome Score Board, used the distressing tool to expose the white core of our paper, and then stamped the dove-tailed, washi-like image in Smoothie ink in between them. A small strip of Canary cardstock, with some hand-drawn stitches, a strip of White Shimmer Trim, and a few white Sequins finished it off nicely. 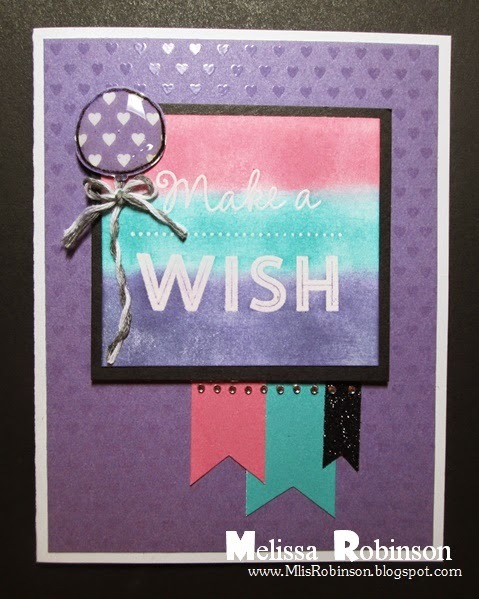 I especially love the color combo for this card and hope you do too. Thank you for stopping by and please consider leaving a comment before heading over to Wendy's Blog. 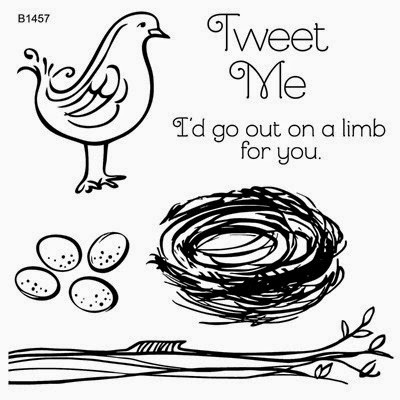 I'd Go Out On a Limb for You! At first glance, this stamp set, "Tweet Me", would scream Easter at you (at least it did for me) but I was challenged to create something else with it and hope you will agree that I was successful. In fact, the sentiments and images are all perfect for any time of the year. 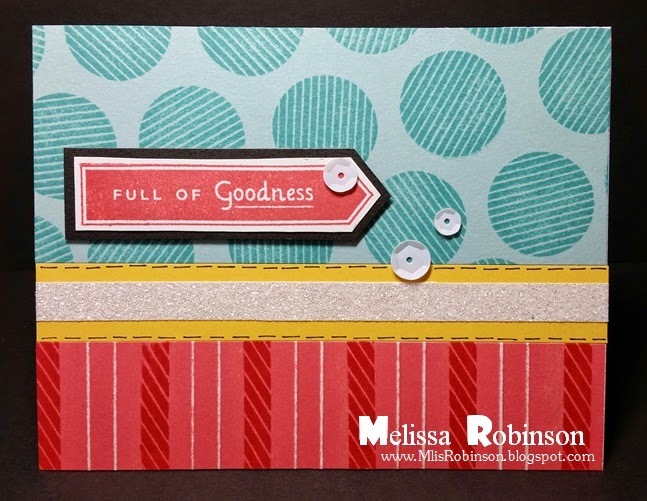 I used some of the Jackson patterned paper as the main background for the card. Cocoa and Twilight cardstock were used as the other two main pieces. Of course I incorporated some Gold Shimmer Trim, for the right amount of sparkle, and then stamped the bird, tree branches, and sentiment in Black ink. I used the ShinHan markers to color in the images and gave an attempt at some shading on the bird. Both of the colored in images are 3-D. 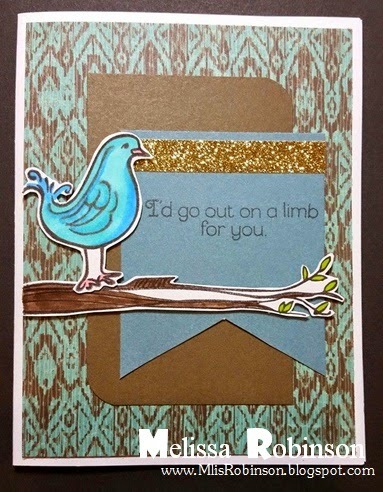 It was fun being creative with this stamp set and I hope you have someone who would go out on a limb for you today! Have a great one! Life IS sweet, isn't it? 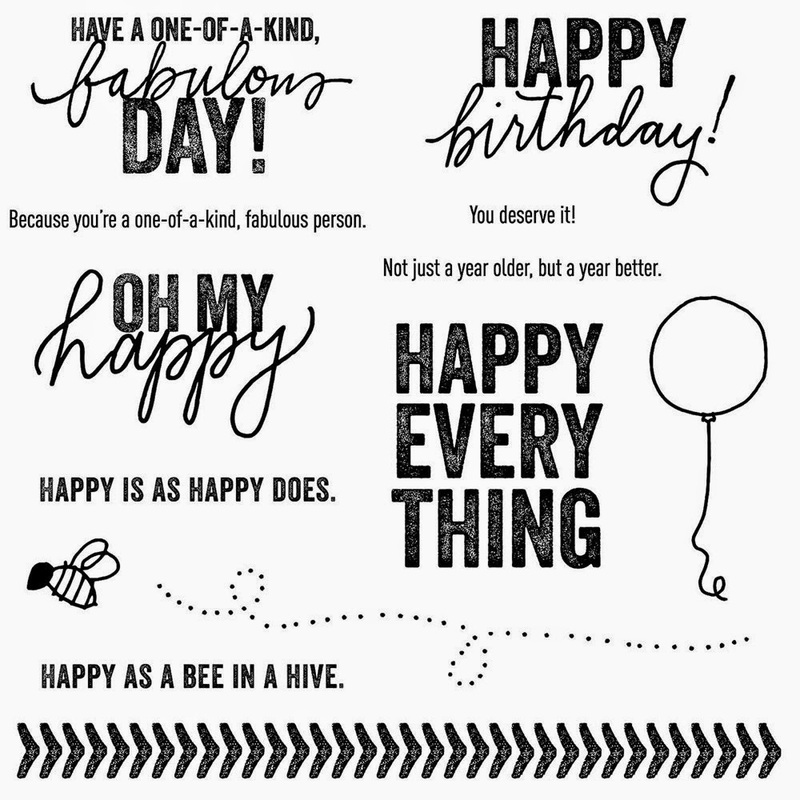 This stamp set and card are perfect for celebrating all the surprises and blessings that life holds. 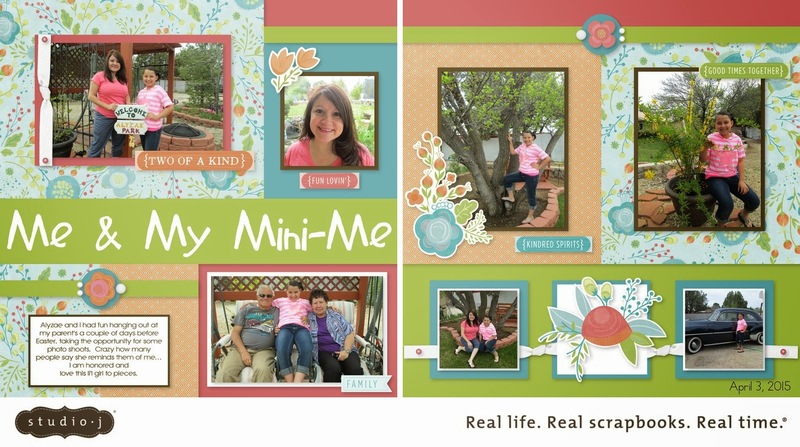 I had fun creating this sweet but simple card using the "Documenting Moments" stamp set. I incorporated Sunset and Smoothie patterns from the Paper Fundamentals paper pack (can you tell I love those paper packs?) as well as some of the Blossom patterned paper. I cut the cupcake, cupcake wrapper and cherry out of the Artiste Cricut Cartridge. I thought it was perfect for conveying the theme of the sentiment. I hope you have a sweet day and are sure to celebrate all the blessings in your life! 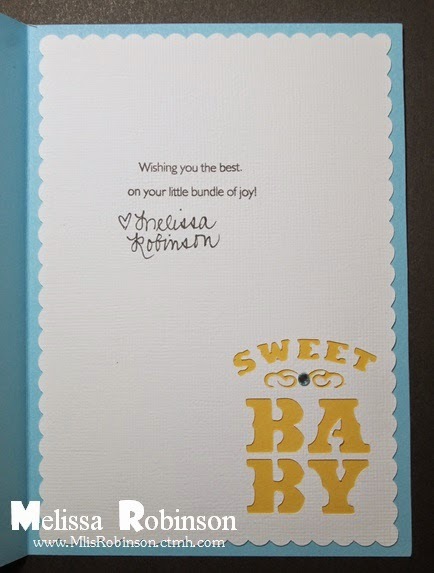 I needed a card for a baby shower a couple of weeks ago and thought, "I don't have any baby stamps!" But then I remembered that our Artfully Sent cartridge has some adorable baby cards and so this is what I came up with! I cut the main piece out of Crystal Blue Cardstock. 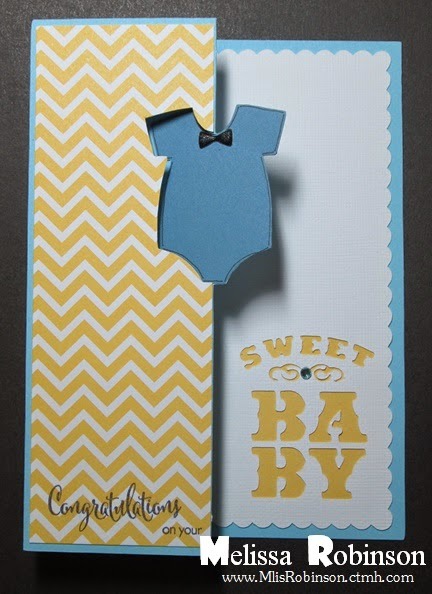 I backed the "Sweet Baby" sentiment with Canary Cardstock and used the chevron pattern, in Canary, from the Paper Fundamentals pack. 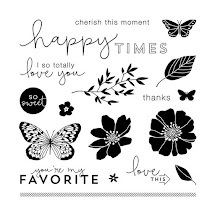 The sentiment used came from a stamp set that comes with the Artfully Sent Cricut Collection, exclusive to Close To My Heart. I added a bow tie from the Puffies (now retired) and took a Journaling Pen to outline the onesie. This is how the card looks open. 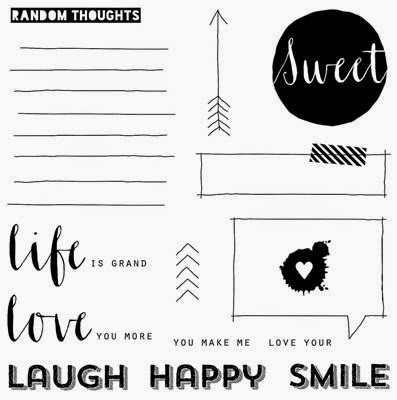 The sentiment came from the stamp set from the Artfully Sent Cricut Collection as well. I love how this card came out and hope you do too! Need a little party favor this summer? 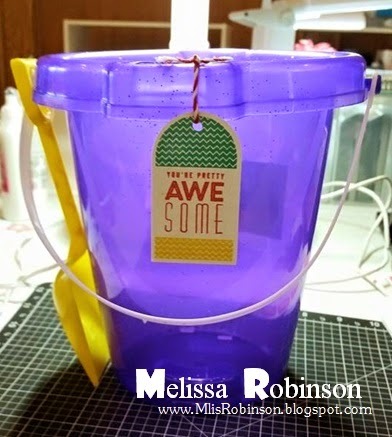 I used these beach pails, found at the Dollar Tree for $1, to serve as some table goodies for a team training held this past Saturday. They served dual purpose as a trash can! Of course, it was not complete until a handmade tag was attached. This stamp set is only available to Hostesses but I will draw for one of these darlings! All you have to do is make a comment below AND either follow me on Facebook or sign-up to receive my blog posts directly to your inbox (include, in your comment, where you chose to follow me so I can verify you did join me). 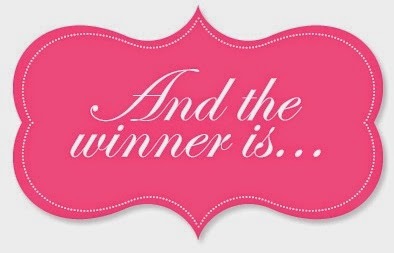 I will do the drawing on Saturday, April 25th, at 12 noon - when I will stop collecting names. Current CTMH Consultants are not eligible. 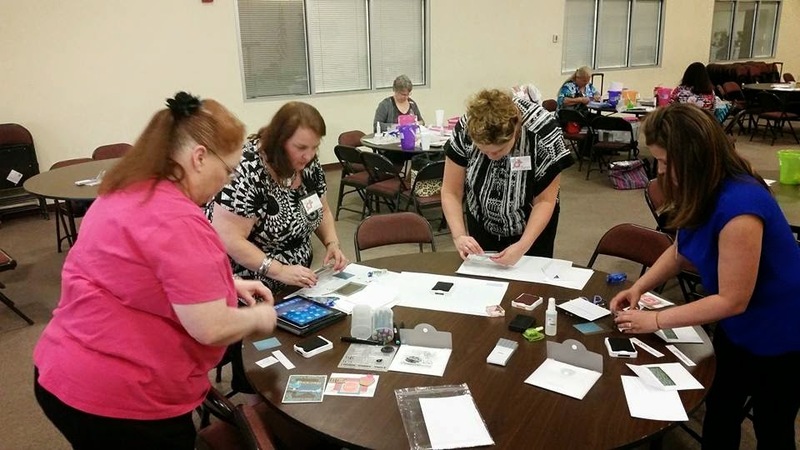 This past Saturday, I held a team training in Grapevine, Texas in conjunction with Joy Tracey and some of her team members. It was a great time - both creative and productive - and I always enjoy getting together with them who have quickly become my friends. 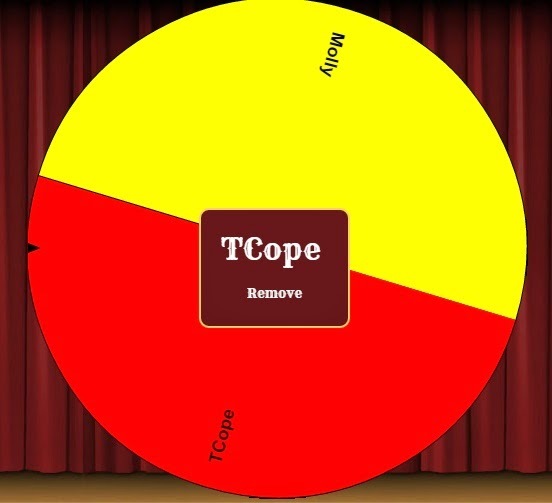 This was a layout I created to recognize the top seller from each of our teams. 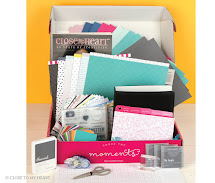 It was created with the Brushed paper packet and the stamp set that comes with the Workshop on the Go. It is adorable! I also cut out these daisies from our Art Philosophy cartridge, cutting out a 1" circle to fit in the center. I did stamp and fussy cut the butterfly to add some fun dimension and a few strips of Silver Shimmer Trim finished the layout off nicely. Here are a few photos of the girls busy at play (errrrr work) as they create some of their projects. Gotta love when this is called "work"! Here is Joy and I! Make it a MARVELOUS MONDAY! I intend to! 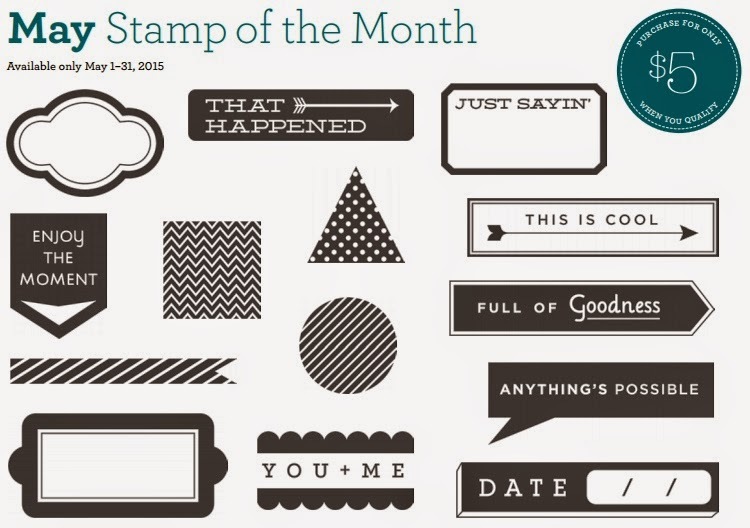 This month we are highlighting the ever-so-wonderful technique, heat Embossing! 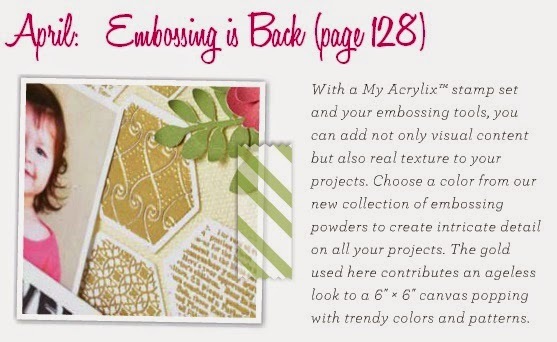 The title is "Embossing is Back" because the embossing products left our Close To My Heart Idea Book for a short while but have no fear...it IS back and I am thrilled! You can find this technique on page 128 of the Annual Inspirations Idea Book and the embossing tools (Craft Heater, Embossing Powder, Versamrk) are located on page 179. 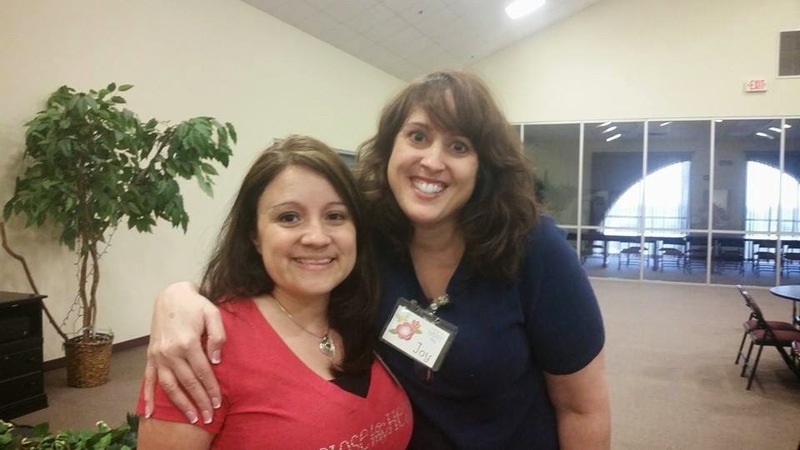 If you are coming from Denise's Blog, you are on the right track! Keep moving through the Blog Hop in the links provided or you will find a list of all participants at the bottom of this post. Let's get started with my creation, shall we? I think this is my favorite way to use the embossing technique! I love using clear or white embossing and then sponging over and around it (and then using a tissue to wipe any ink off the embossed image). 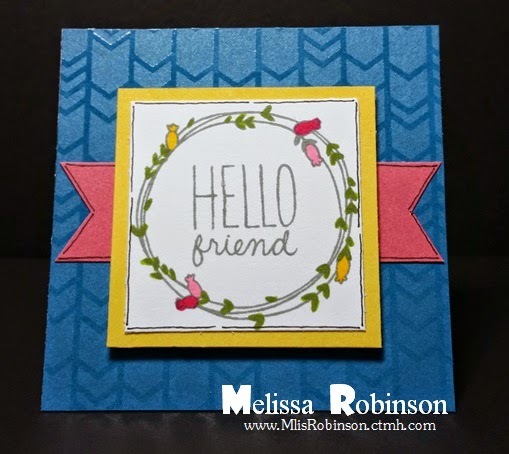 For this card, I did use the White Daisy pigment-based ink pad (you can also use Versamark). I sponged over the embossed image, using Sponge Daubers (one of my favorite tools), in Cotton Candy, Lagoon and Gypsy inks. Isn't the ranbow look fun and cheery? I layered the sentiment on Black cardstock and then used 3-D Foam Tape to apply. I cut dove-tailed banners out of Cotton Candy and Lagoon cardstock and Black Shimmer Trim. I added Bitty Sparkles across them to resemble a "stitch" and for some added bling. 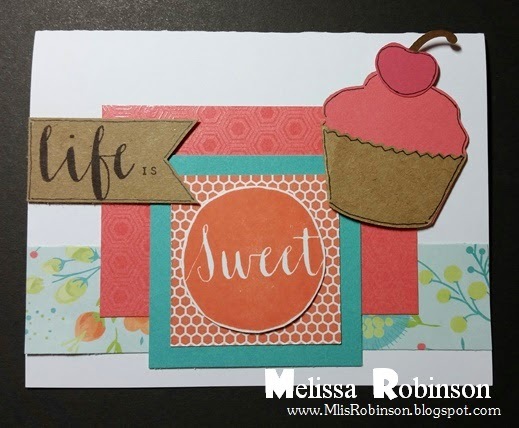 I used two of my favorite stamp sets (there are many more - LOL) on this card. 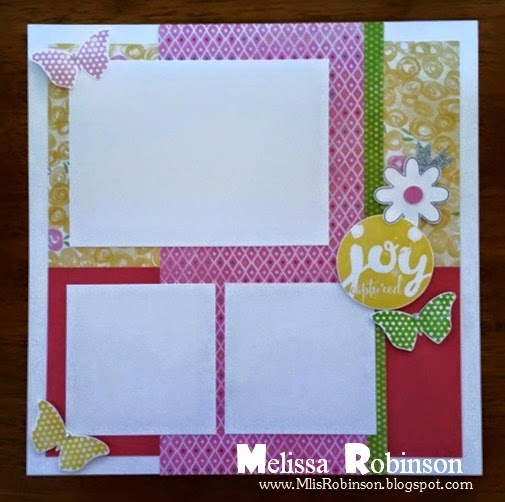 This one is "Happy Everything" and the Operation Smile stamp set for this time of the year. 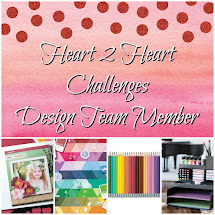 (I used the balloon image and stamped it onto some Paper Fundamentals - where you will find the heart pattern.) A little twine, and some Liquid Glass, and I have a fun balloon! 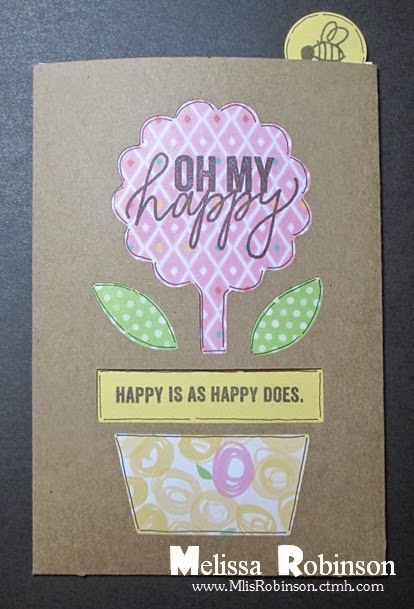 I also used the ADORABLE stamp set from the Blossom Workshop on the Go for the sentiment. 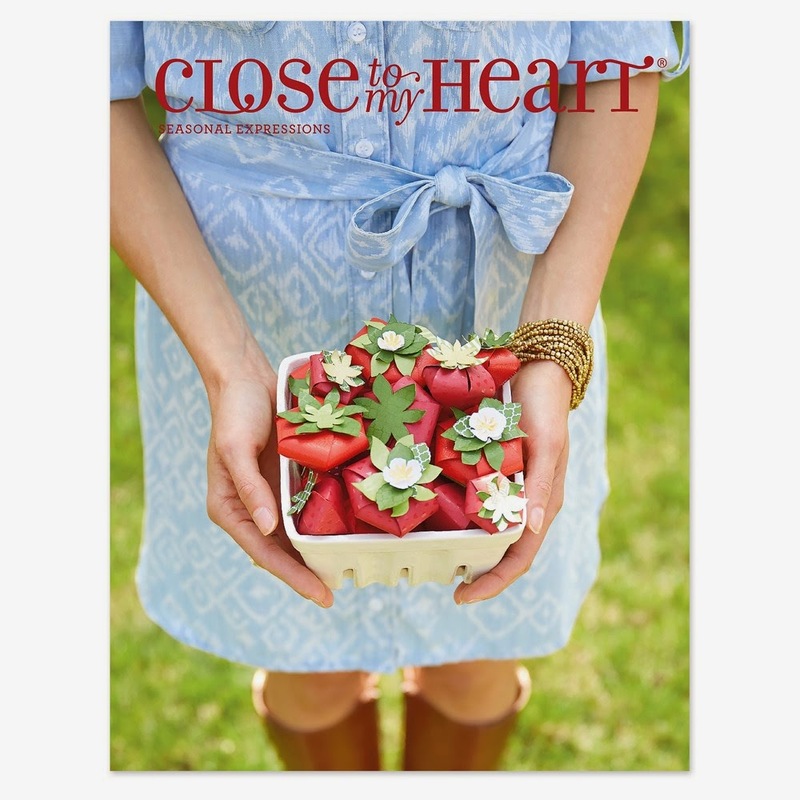 You can find it through Seasonal Expression 2 on page 10 (the page number located on the page)! 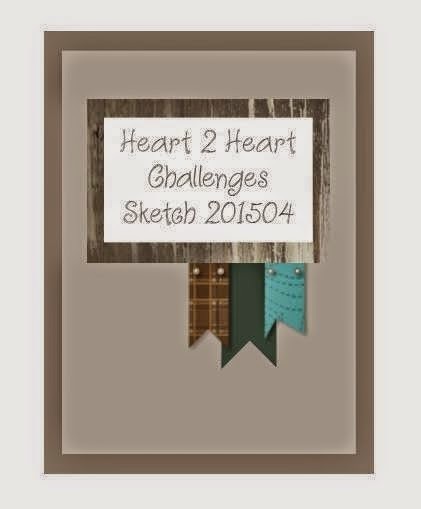 I used this Sketch Challenge from Heart 2 Heart to design my card. How simple, easy and fun?! Thanks for stopping by. I know I can't wait to hop to see what the other girls created with this technique. Please leave a comment before heading over to Sheila's Blog! 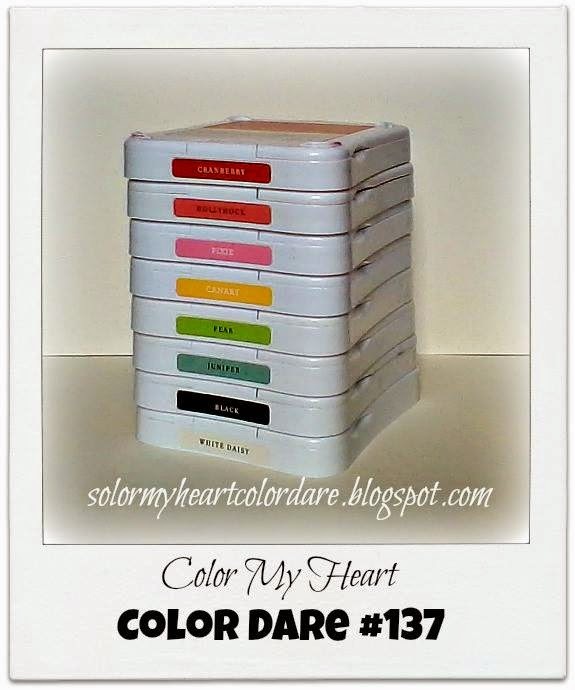 I am participating in the Color My Heart Color Dare #137 challenge. We were asked to incorporate these colors into our creation so this is what I came up with! I used the Brushed paper packet and Complements to create it. 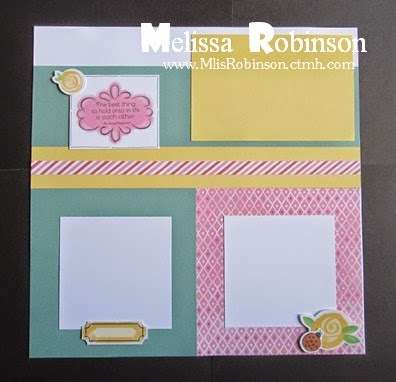 This layout was so "soft" in color - I love how it turned out. 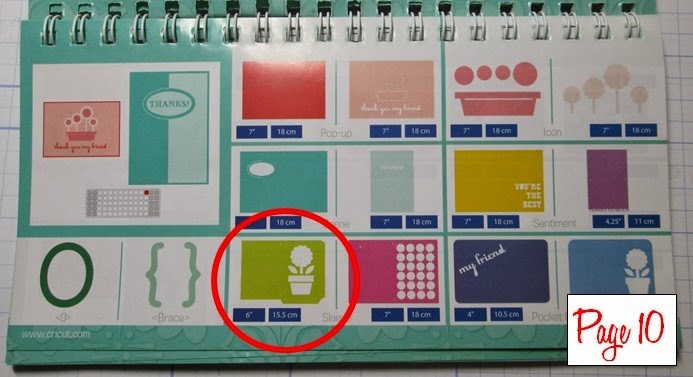 The Complements (aka stickers) are transparent. For the purpose of my creation, I did place them on White Daisy cardstock and then fussy cut them so they stood out nicely on the layout. 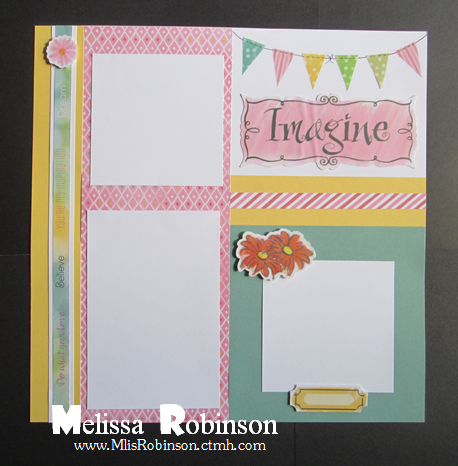 I did use zip strips as the vertical border on the left side of this page and for the striped border on both pages. I have some other layouts I created with the Brushed paper pack to come out over the next two days. Thanks for stopping by! Wishing you a great Monday! 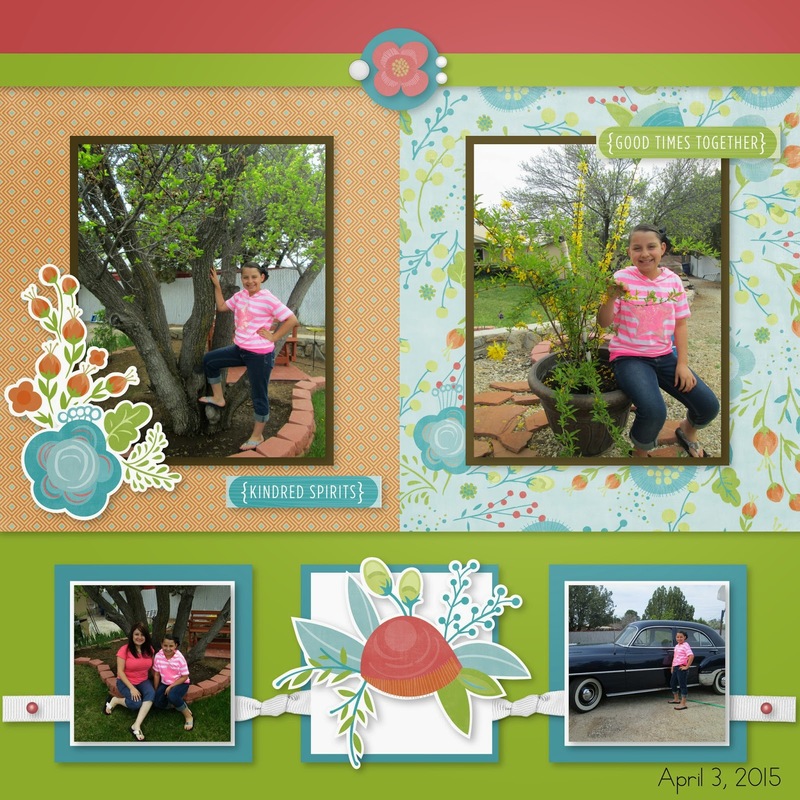 Spring has Sprung with the Stampers with an Attitude! 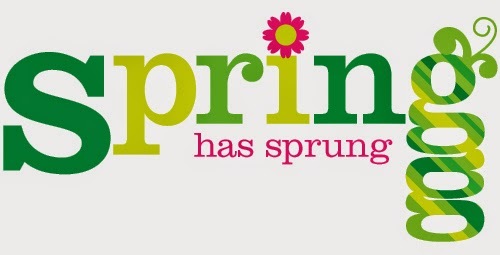 This month we are highlighting some fun artwork that makes you smile at the thought of spring. If you are coming from Sheila's Blog, you are on the right track. 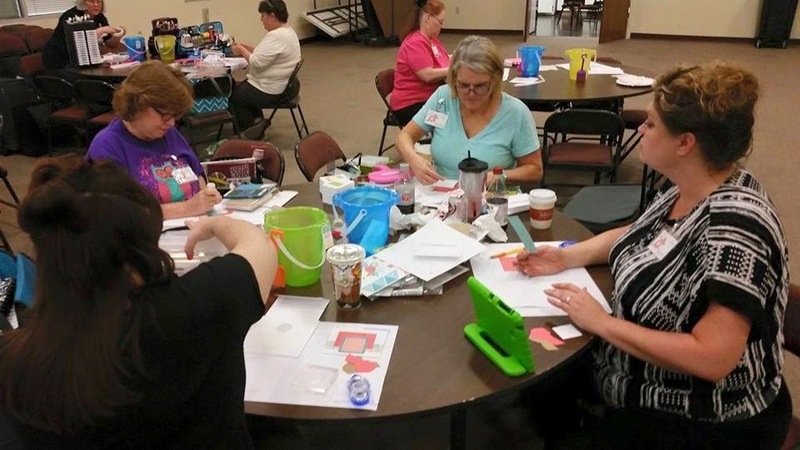 You can find a list of participants by visiting Melinda's Blog. 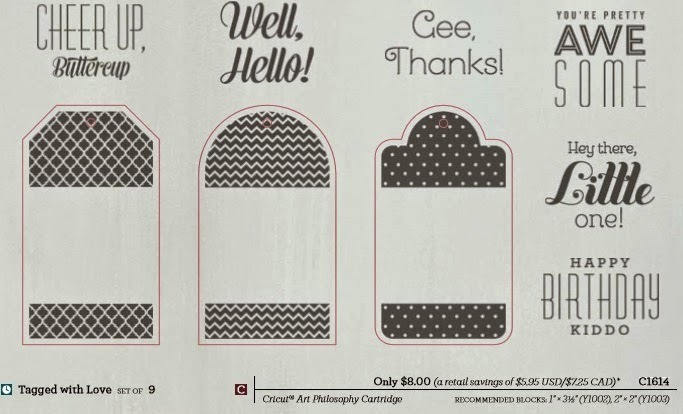 I used our exclusive Artfully Sent Cricut Cartridge, page 10, to create this Sleeve Card. Buttons pushed were Sleeve > 0 at 6" (the default size). In doing so, cut out of Kraft Cardstock, the piece looked as it does above. Scoring along the two sides and gluing them to form the pocket, this sleeve was created. I used scraps from the Brushed paper pack to glue on the inside, allowing them to peek through the "windows" as seen here. I cut a piece of Colonial White cardstock to slip inside, ready for the message, and cut two circles out of Canary cardstock to stamp the bee. I then glued the circles back-to-back, sandwiching the Colonial White cardstock, to create the tab. 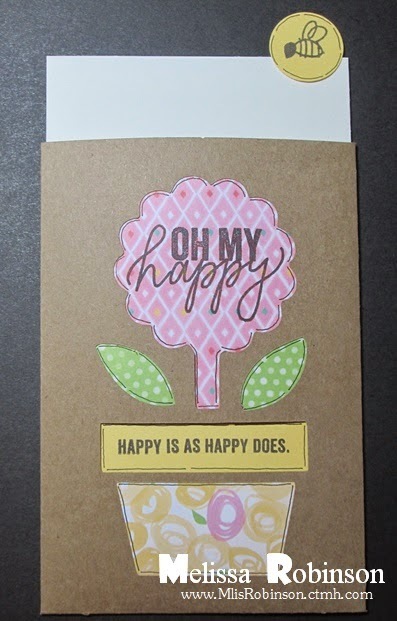 The sentiments stamped on the front of the card are from this stamp set, "Happy Everything". 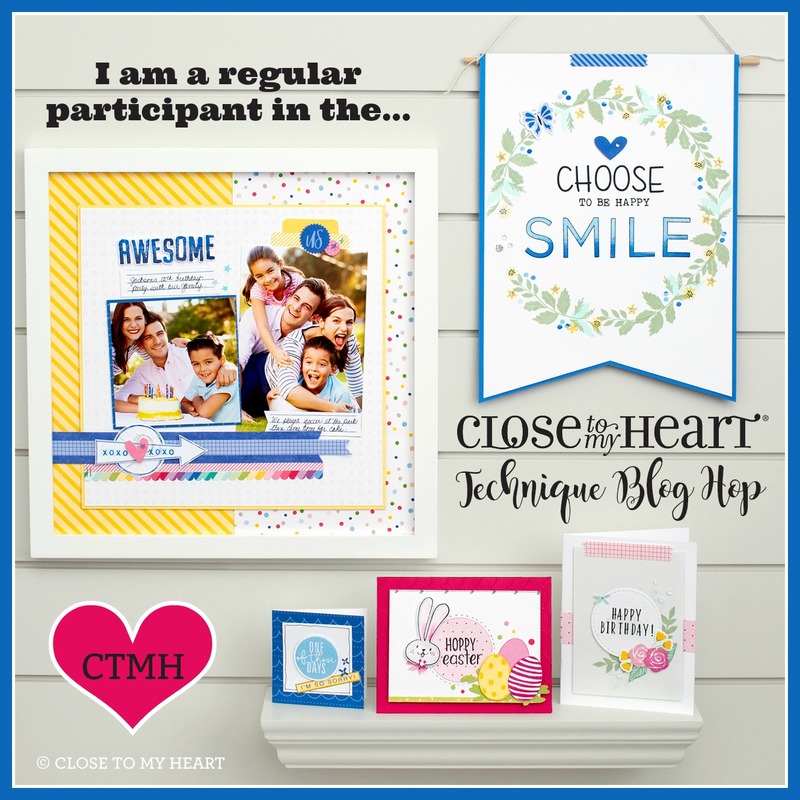 It is our newest stamp set that supports Operation Smile where $3 of the $17.95 purchase price will be donated to Operation Smile. 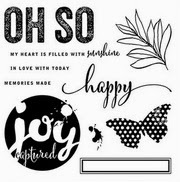 It is a CUTE stamp set that I cannot wait to incorporate into more of my artwork! Thanks for stopping by and let me know what you think of my creation before heading over to Belinda's Blog to check out her fun creation! 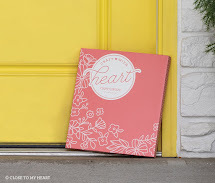 The Heartfelt Sentiments Team, while I lead within Close To My Heart, is showcasing new product recently released on April 1st in the Seasonal Expressions 2 supplement. If you have been reading my blog you know I am in love with much of it! If you are coming from Judy Faye's Blog, you are on the right track. A list of participants is listed at the bottom of the post, should you get lost. This is my favorite new paper packet...say it with me..."Blosssssssssoooooommmmmmm". I am truly head over heals in love with it. It is so fun, beautiful and springy/summery! Of course, it was perfect for the photos I took while visiting my family in New Mexico for the Easter weekend. These are photos of my sweet niece, Alyzae, and my parents, Richard and Maria Elena. They were taken in my parents backyard. I did very little to alter the layout of these pages, simply adding in the "complements", some brads, and I virtually cut a border for the little sentiments ("two of a kind", etc.). 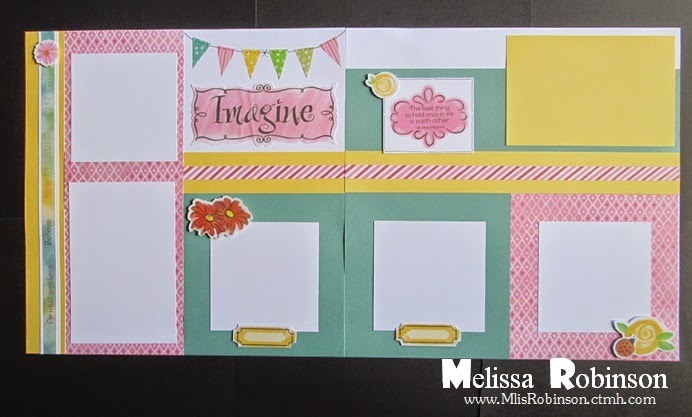 There are so many things you can do with Studio J and if you still prefer the touchy/feely kind of scrapbooking (which is still my preference but I love me some Studio J), you can purchase the Blossom paper packet and Complements here to recreate this layout for yourself! Leave a comment and let me know what you think of my layout! 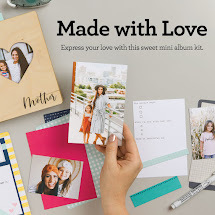 I would love to hear from you before you head over to Melissa David's Blog to check out what she has to share! 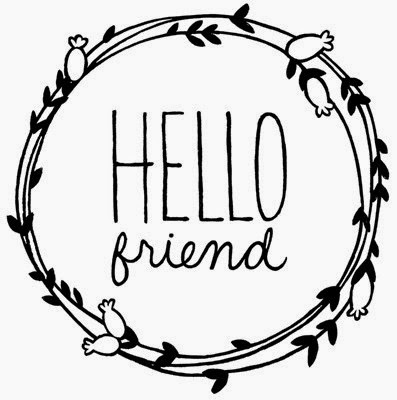 I used the Friendship Wreath stamp that is just $2.95 (gotta love that price point)! A Deal a Day in April! NEW PRODUCTS HAVE ARRIVED and That's No Joke!